The Ministry for Foreign Affairs has completed its internal investigation into the tax-free purchases made by the staff of the Finnish Embassy in Stockholm. The investigation looked into the tax-free purchases, especially alcohol and tobacco acquisitions, of all the 17 career officials posted to the mission from the Finnish Ministry for Foreign Affairs between 2013 and 2015. According to the report, public servants who were entitled to make tax-free purchases had given small amounts of alcohol, tobacco and cosmetics products a few times a year also to staff members who were not entitled to make such purchases. The investigation did not find any evidence that the staff who enjoy the right to make such purchases would have gained any financial profit from selling the products to their colleagues. Furthermore, bootlegging products to other than the embassy staff’s own use was not discovered. However, from the perspective of civil service law, the question is of improper practice, which was discontinued for about two years ago. The Embassy has been reprimanded because of the matter. The Ministry for Foreign Affairs has provided its missions abroad with instructions on the acquisition of tax-free products in order to make sure that the missions observe the rules and regulations of their country of posting. The exemption of diplomatic agents from certain dues and taxes is based on the Vienna Convention on Diplomatic Relations. Each country of posting provides its own regulations and instructions concerning the purchase of tax-free products. These are typically related to the use of alcohol products and their official and private use. The head of mission is responsible for ensuring that the mission staff are aware of the instructions provided by the country of posting and of their observance. The Ministry has asked all heads of mission to go through the regulations and instructions concerning tax-free purchases in the country of posting together with their staff. 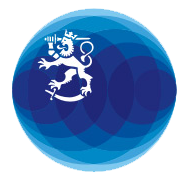 When the operation of Finland's diplomatic and consular missions abroad are monitored in future, the Ministry will pay special attention to the observance of local instructions. Inquiries: Ari Rouhe, Director General, Administrative Services, tel. +358 040 356 3791.